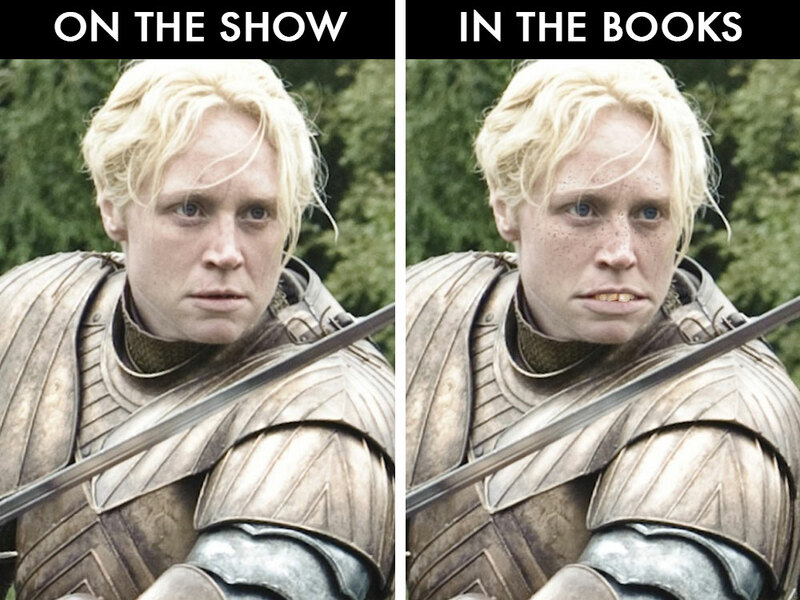 We’re all very familiar with what the citizens of Seven Kingdoms look like in Game of Thrones, right? Well, it turns out many of them look PRETTY different in the books. 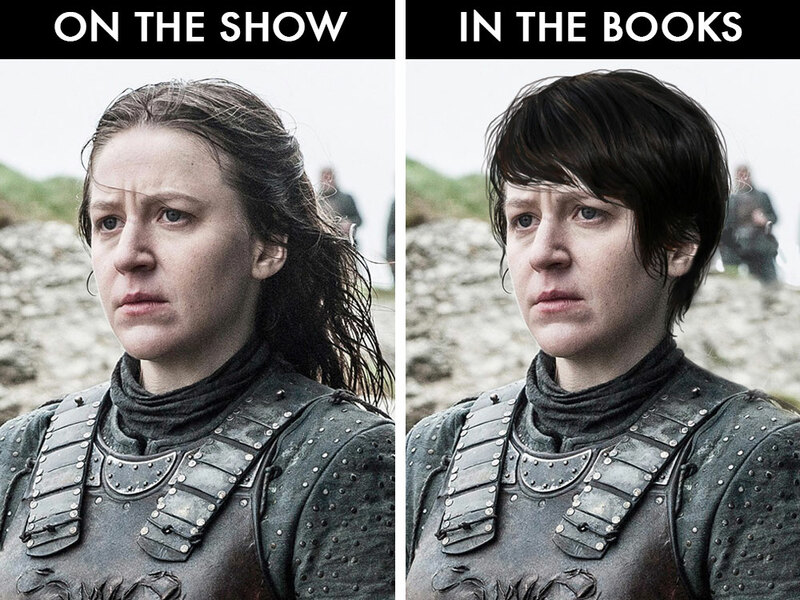 In the past, we’ve seen what a lot of the main characters would look like (Tyrion = no nose, Dany = purple eyes and no hair), but what about our favorite supporting characters? 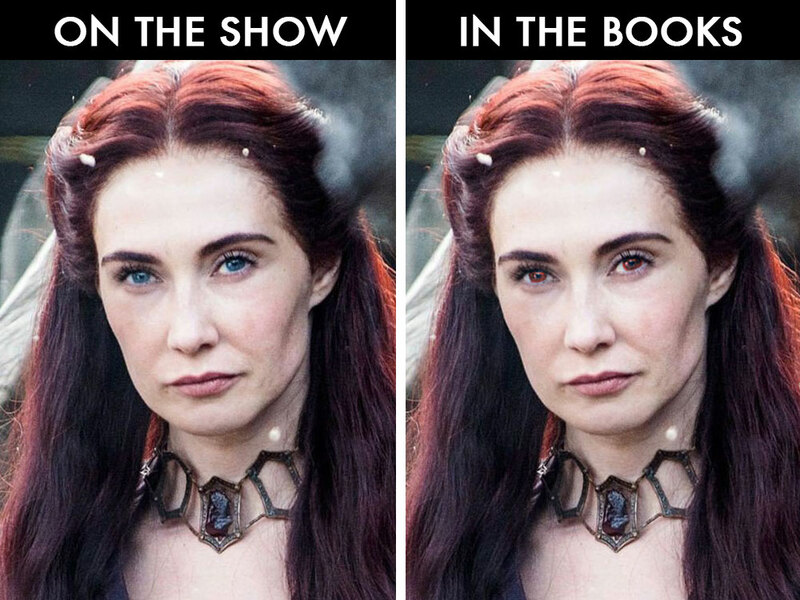 Melisandre would have red eyes. 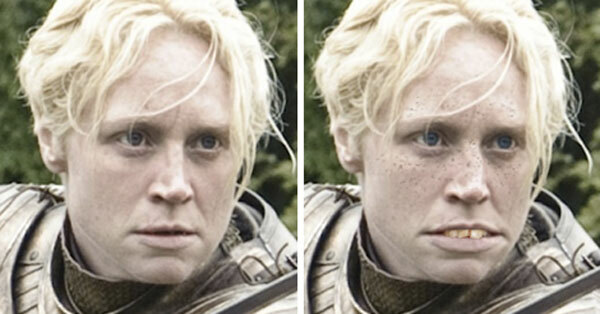 Brienne would have awful teeth, serious freckles, and a busted nose. 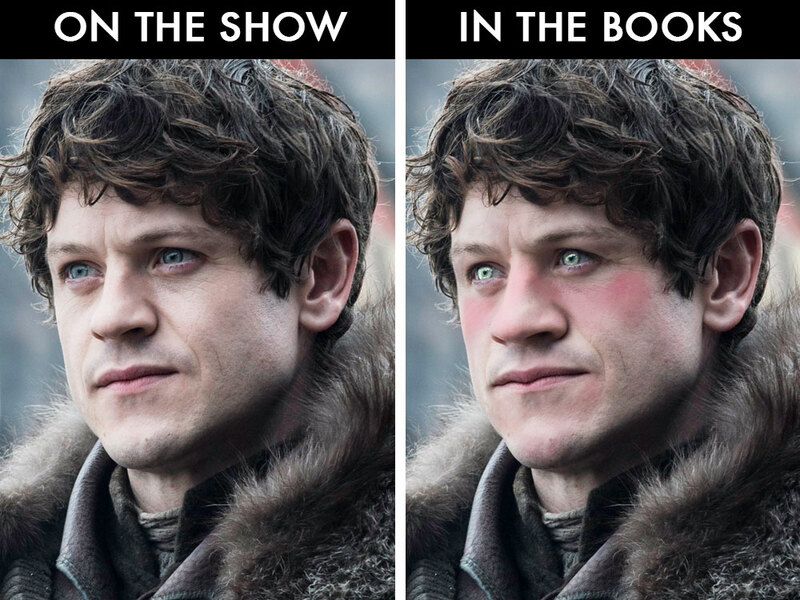 Ramsay would have wider features, blotchy skin, and colorless eyes. 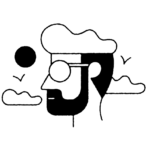 From A Dance with Dragons, “His skin was pink and blotchy, his nose broad […] His lips were wide and meaty, but the thing men noticed first about him were his eyes […] his eyes were all but colorless, like two chips of dirty ice. 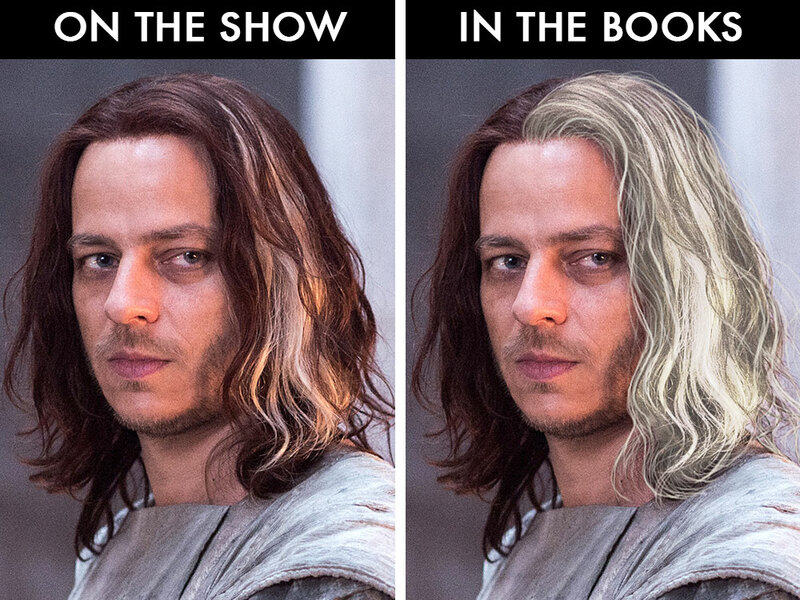 Jaqen would have half white and half red hair. 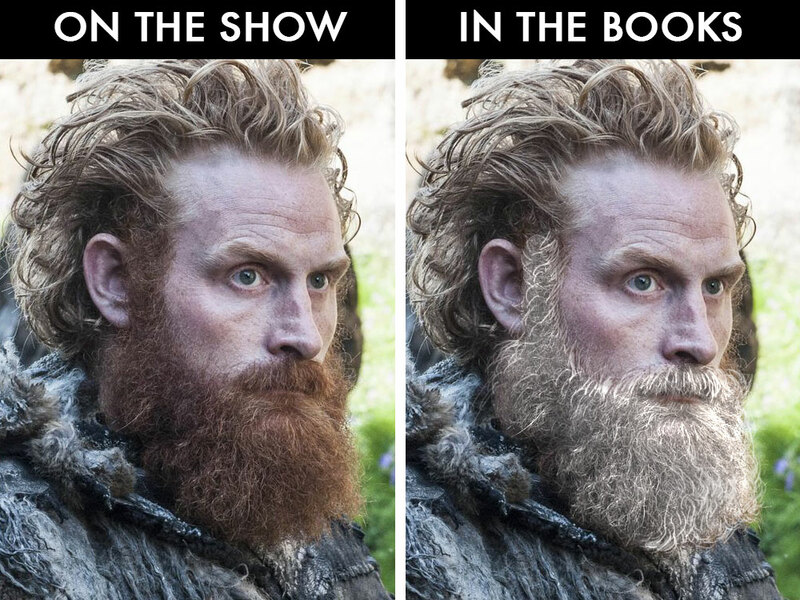 Tormund would have a beautiful white beard. Yara would have short black hair (and her name would be Asha). 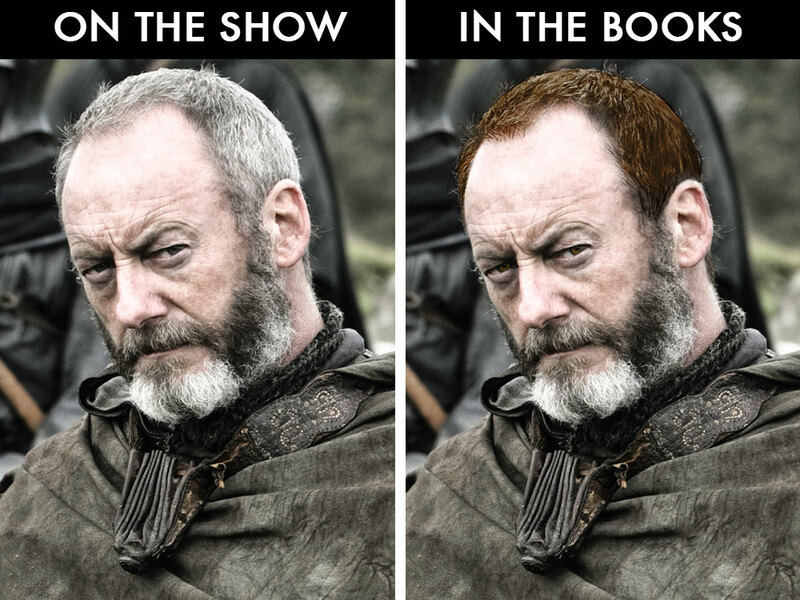 Ser Davos would have brown hair and eyes. 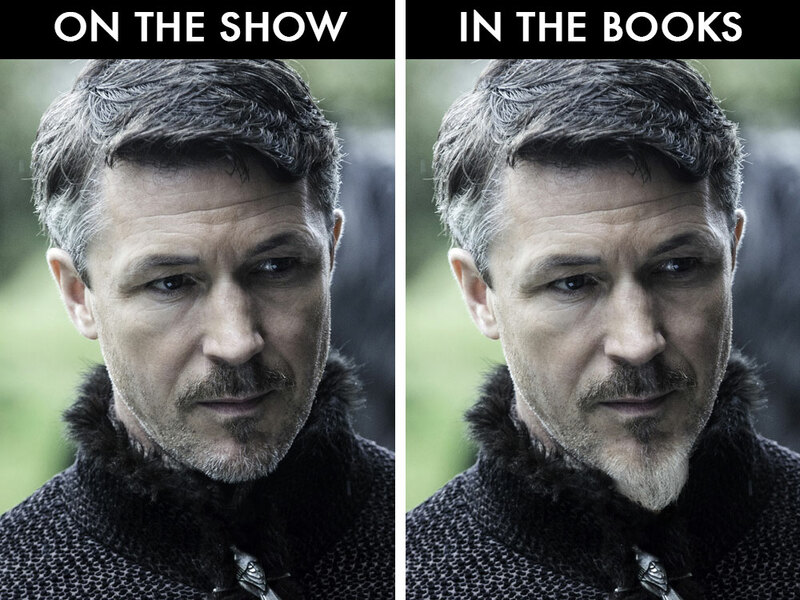 Finally, Littlefinger would have a little pointed beard. From A Game of Thrones, “Petyr had been a small boy, and he had grown into a small man […] He had a little pointed chin beard now, and threads of silver in his dark hair, though he was still shy of thirty.